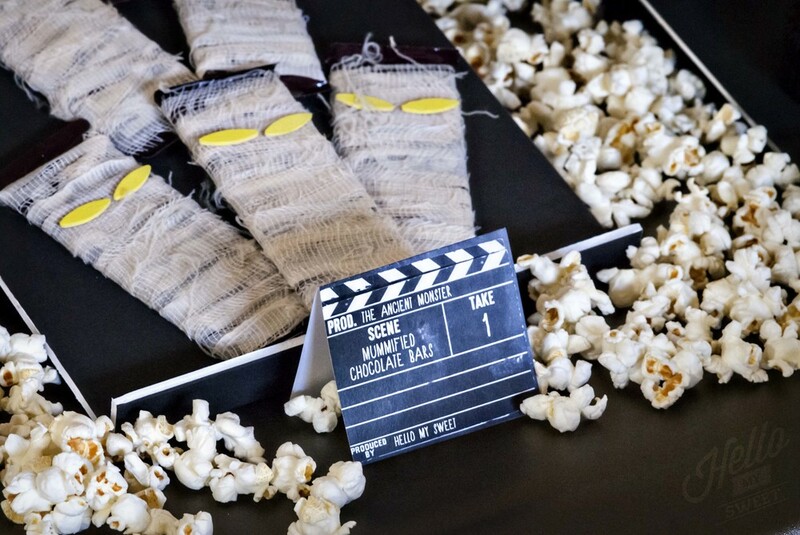 If you are looking for a unique way to jazz up your Red Carpet or Movie Night party, look no further. These stanchions with "red rope" are the perfect way to corral your trick or treat line or add a special detail and authentic look to your movie party. Are you ready for some football? We have some outstanding Easy Football Party Ideas for you to kick off football season in style! Jason came up with the most genius idea for our Stars and Stripes product photos. I planned to showcase our latest cupcake stand design with pretty cupcakes and sparklers, but that was the extent of my thought process. This is why we work well together, Jason swoops in with an idea to make it go from "meh" to fab! 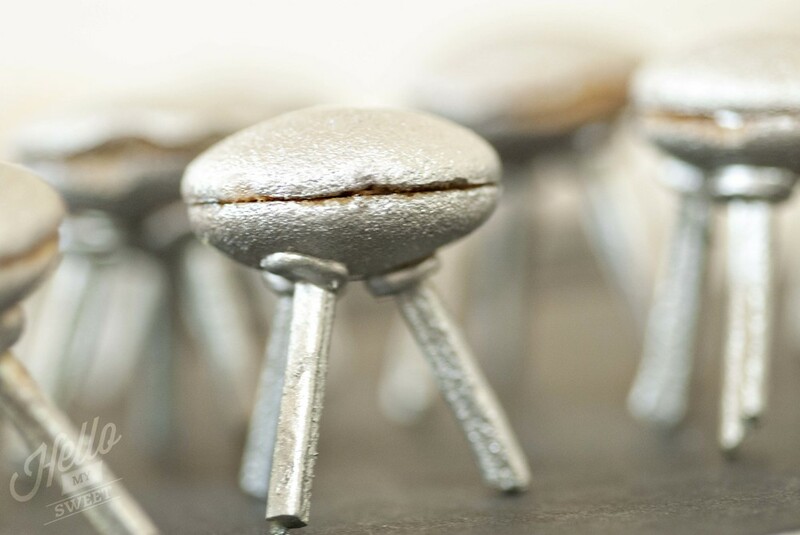 Learn how to make a super shiny classic UFO cookie treat, complete with landing gear. Vintage Horror Movie Party, Mummified Chocolate Bars. How to make our awesome Mummy Chocolate Bars, with just the right amount of old creepy, and none of the cutesy. Vintage Movie Night concession stand with B-Movie Horror films for Halloween. Join us for a vintage movie night...This Halloween feature shows you how to create a Vintage Movie Night experience for your Halloween crowd on a budget and incorporate some favorite B-Movie Horror Films to make it frightful for your trick or treaters. Need help coming up with Nerf Party Games? We have just the thing, a Belly Crawl and Obstacle Course! Are you a completely last minute gift buyer? Do you have the best intentions every time and still end up waiting till the last minute to find something, or worse, let it go by and then have to apologize afterwards? Today we wanted to talk a bit about using gift wrap to decorate a party. We have discussed this topic before here where we cover reusing items to create something else and lots of tips on saving money when you decorate for a party. Follow this one simple trick for easy sugar cookies to keep your kitchen neat and tidy while baking homemade cookies! As anyone who bakes will tell you, it’s a messy business. Flour and confectioner’s sugar are especially terrible culprits of a baking mess. 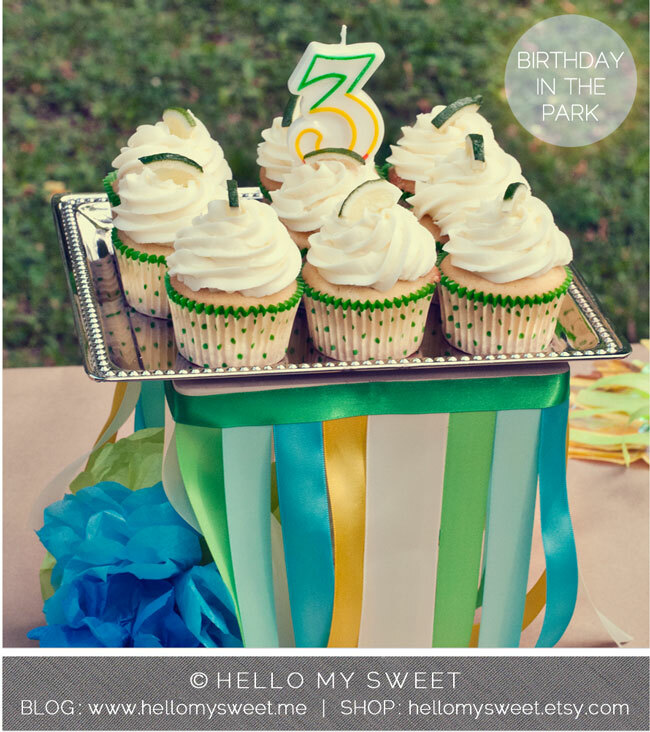 We have a super special party to show you today, our son’s 3rd birthday! We had this little gathering at our neighborhood park, and since it was the 5th of May what better theme than Cinco de Mayo? 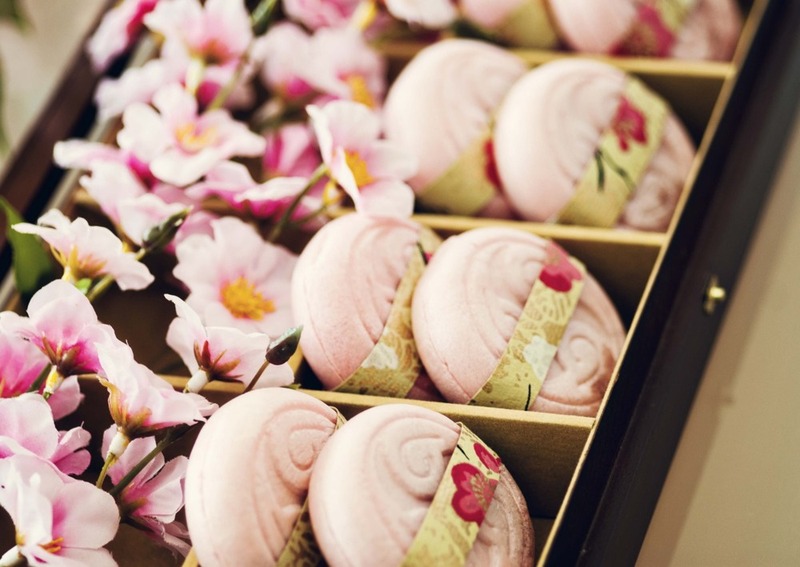 Here’s an idea for a Modern Easter Centerpiece DIY. The inspiration for this project was twofold. While browsing the aisles at Dollar Tree to see what was new for spring and Easter we happened upon some faceted plastic Easter eggs. Oooo sparkly! Not only did they catch my eye as they were, but we immediately thought of something else we could do with them. We had recently seen this modern art piece and bookmarked it to reference back to later. So why not create a Modern Easter Centerpiece DIY using the faceted eggs and a similar base construction? Genius. Geometric and colorful designs are so popular right now, and we really wanted to incorporate that into a truly unique idea for the Easter holiday. To see the full how-to please visit our post over at The Flair Exchange.